The University of Pretoria is the largest of South Africa’s 19 contact universities. The University of Pretoria (UP) places the highest premium on academic excellence and academic standards and combines world-class education with beautiful, safe and stable campus settings that allow our students to enjoy student life to the full. This includes social, sports and cultural activities, participation in the arts and development of leadership abilities. 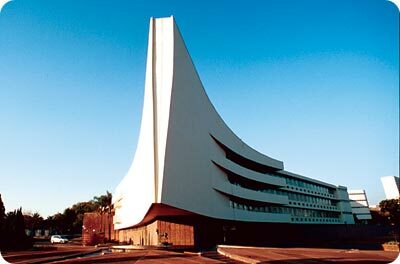 The University of Pretoria is the home of the ‘Innovation Generation’. UP is South Africa's largest residential university and is home to the ‘Innovation Generation’ – those people who will make a difference, today and tomorrow. Situated in the eastern suburbs of South Africa's expanding administrative capital, Pretoria, the University of Pretoria is the largest of the nation's 19 contact universities. Courses are presented in English and Afrikaans. It remains the student's responsibility to ascertain whether a module (and all subsequent modules of the programme) is presented in a specific language. There are nine faculties: Humanities Natural and Agricultural Sciences Law Theology Economic and Management Sciences Veterinary Science Education Health Sciences Engineering, Built Environment and Information Technology. These are home to 140 Departments. The University also houses 43 centres, institutes and bureaus. The University of Pretoria’s mission is to be an internationally recognized South African teaching and research university and a member of the international community of scholarly institutions. Applications open 1 March of the year preceding the year of study. Closing date for selection courses is 30 June. Closing date for other courses is 30 September. The academic year commences in January and ends in November. Who are the ‘Innovation Generation’? UP aims to be a world-class university and consequently we don't only want to provide students with academic knowledge; we want to produce world-class citizens. These world-class citizens are known as the ‘Innovation Generation’ and are sought-after workers and members of the community; equipped with excellent academic training; well-rounded individuals who are balanced and responsible members of society; people with an insight into social, political economic, technological and environmental matters, and who are internationally competitive and equipped with a sound set of values. Passion: At Tuks you will grow and reach the top at a dizzying pace. This is where it's happening! Energy: Do you have drive and vitality? Become part of winning teams and form lifelong friendships. Choice: Choose from 540 programmes, 86 societies, 31 sports clubs and a multitude of cultural and social activities. Quality: Tuks offers world-class facilities, academic distinction, international recognition and a healthy balance between, learning, living and playing. TuksSport is housed in the Sports Centre of the L D de Villiers sports grounds. UP offers top sports facilities, professional coaching and opportunities for keen competition to sportsmen and women. A key organisaton for international students to be involved in is UPI. This organisation caters for both local and international students giving both groups an opportunity to interact with each other. UPI is responsible for many fun cultural events such as the International Day held annually and trips in and around South Africa, as well as educational seminars around pertinent topics.